The color of the water is different in each location depending on the the sand, air ,light and what the water is holding. 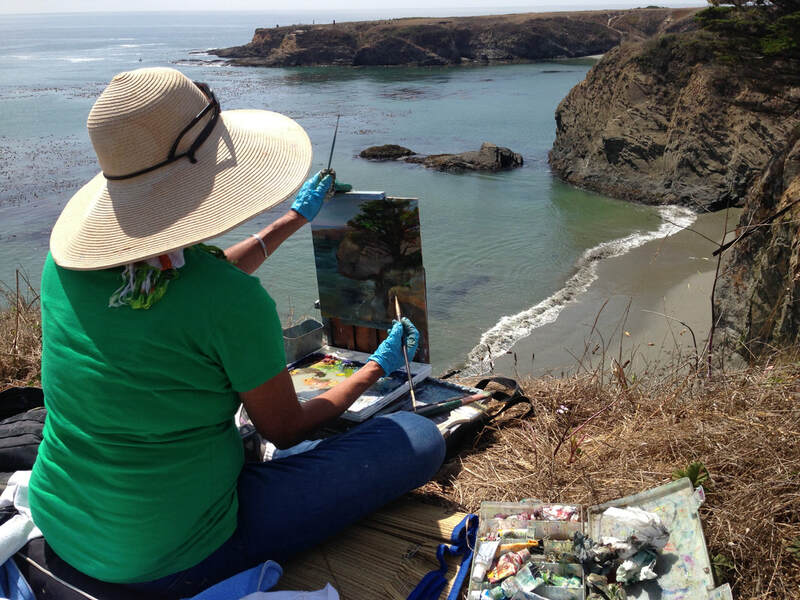 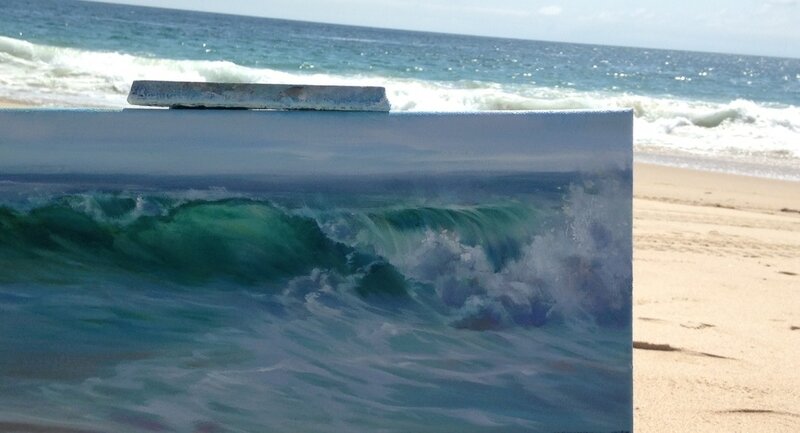 Although it is challenging to paint a moving subject, the colors are more accurate than working from photos. 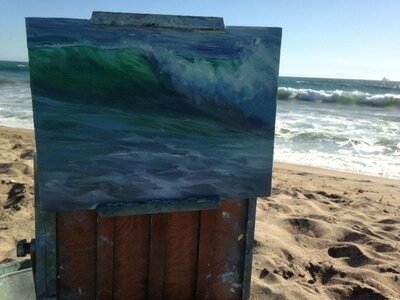 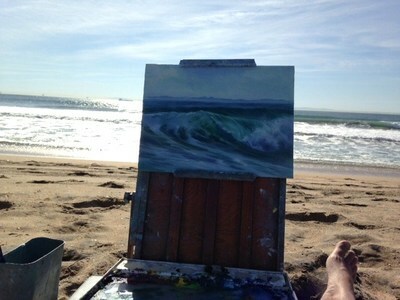 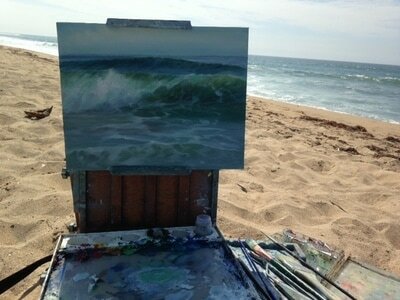 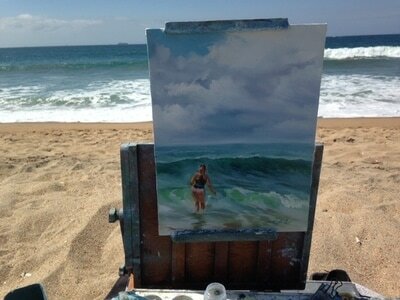 Painted on Location, Sunset Beach. 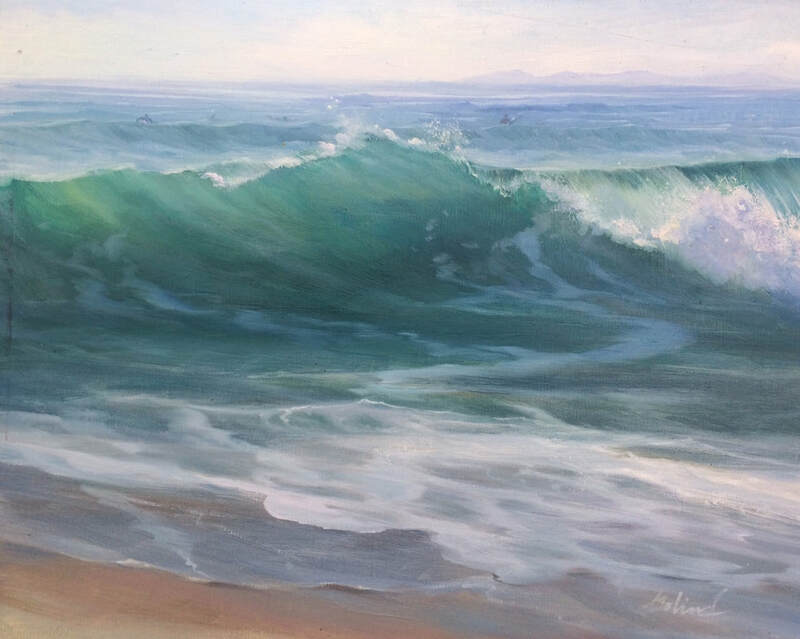 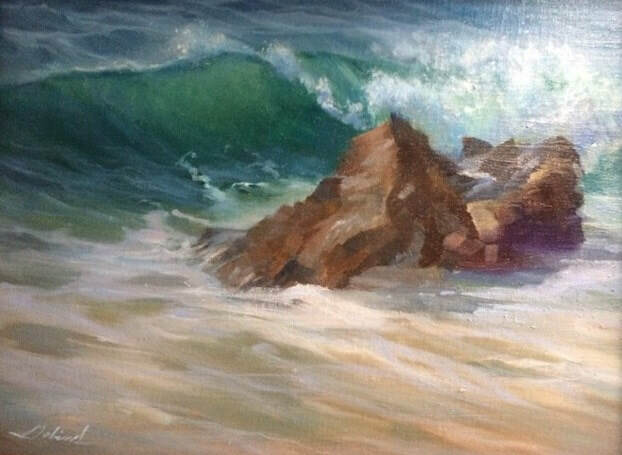 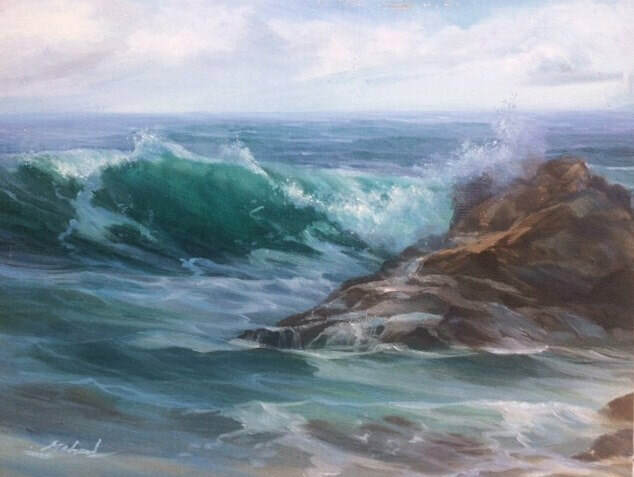 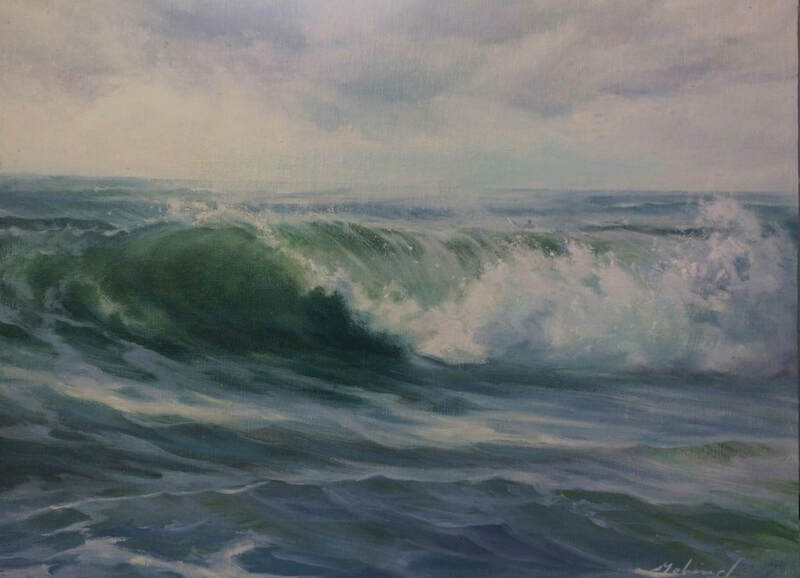 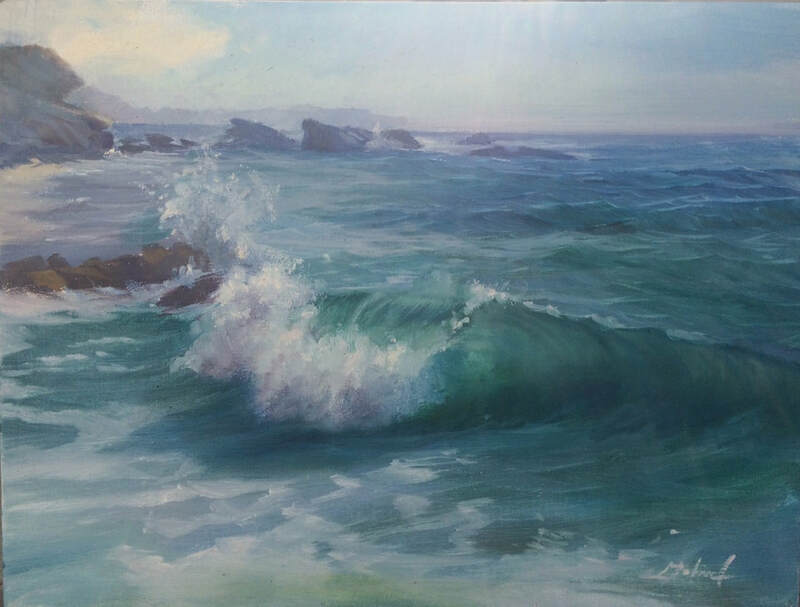 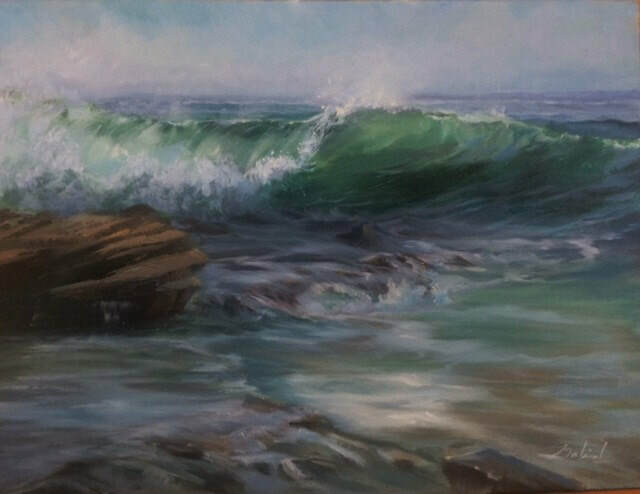 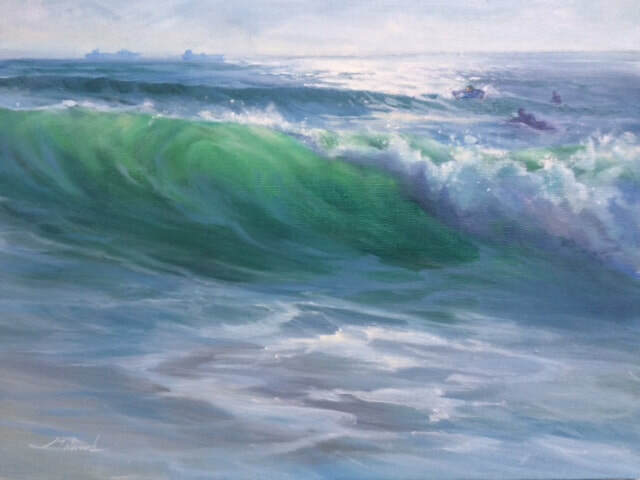 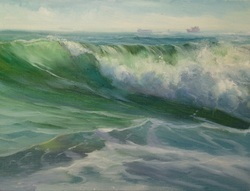 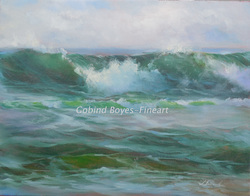 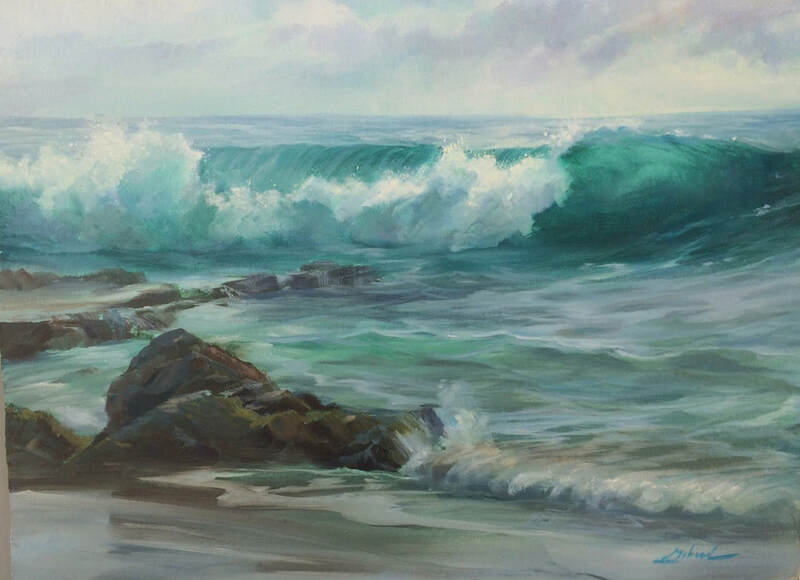 Morning shore break at main beach 9"x12"
Painted on location, Sunset Beach, Calif.
Huntington River Jetty is a favorite surf spot. 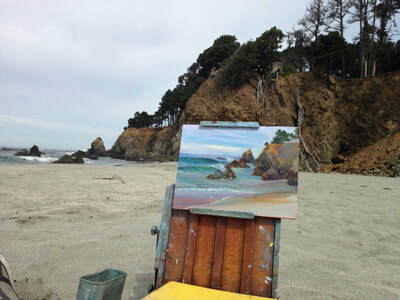 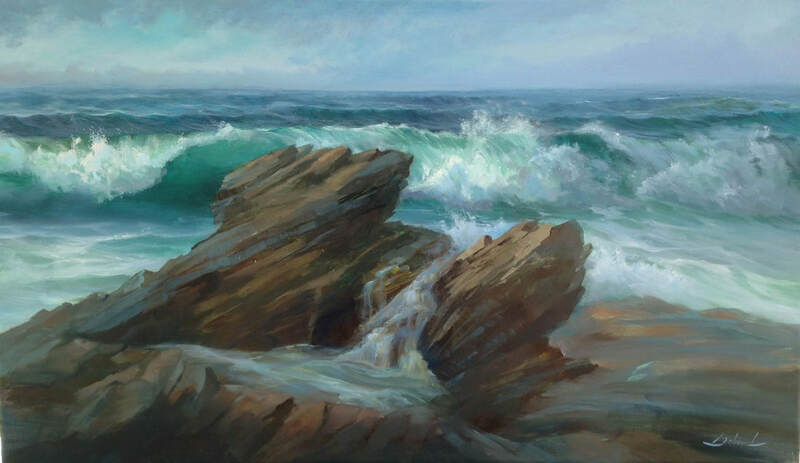 11"x14"
Painted at Russian Gulch State Park, Mendocino, California 9"x12"
A cloudy mornig at Huntington Beach 11"x14"
There is a certain time in the afternoon when the light gets blue and the rocks turn dark. 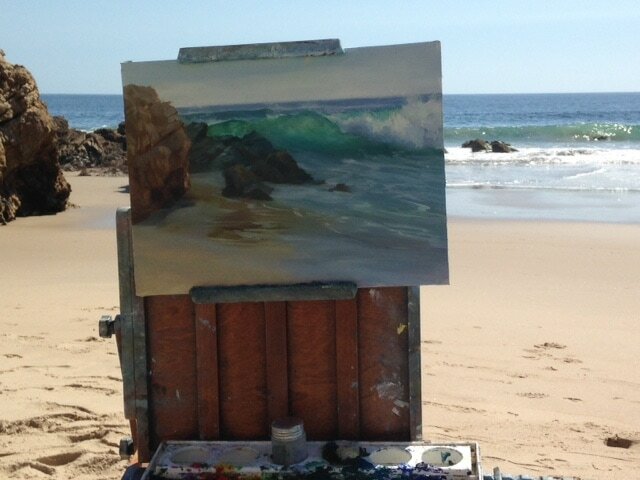 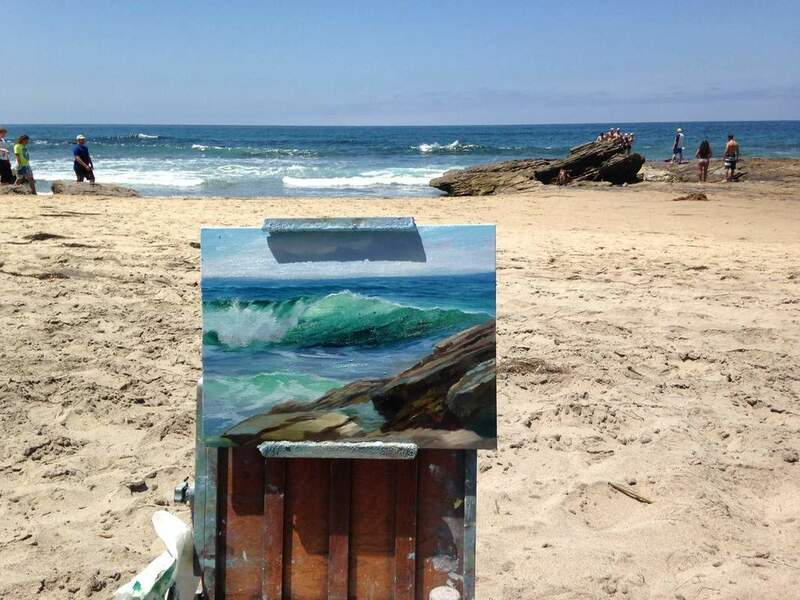 Crystal Cove StatePark 9"x12"
Painted on location near the Reef Point beach trail, Crystal Cove 9"x12"